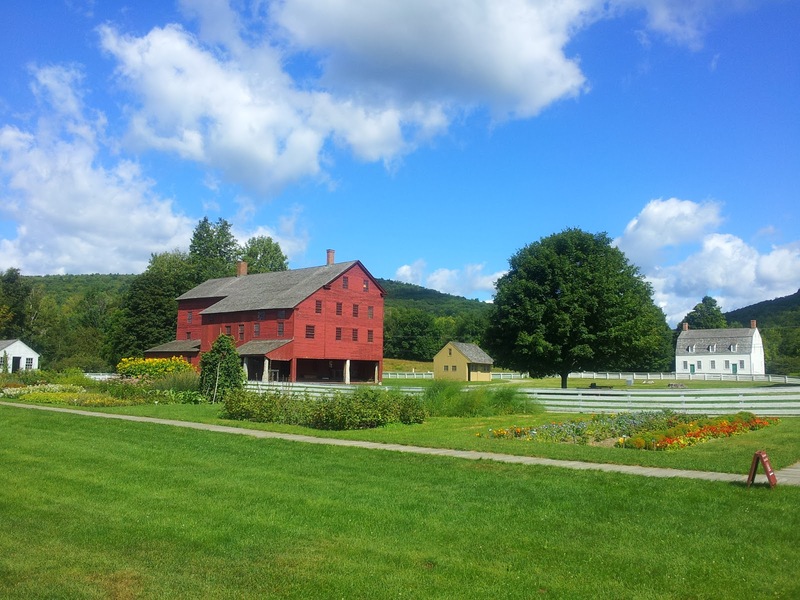 Hancock Shaker Village is a National Historic Landmark District in Hancock,Massachusetts that was established by Shakers in 1791. It was the third of nineteen majorShaker villages established between 1783 and 1836 in New York, New England, Kentucky,Ohio and Indiana under the leadership of Joseph Meacham and Lucy Wright. 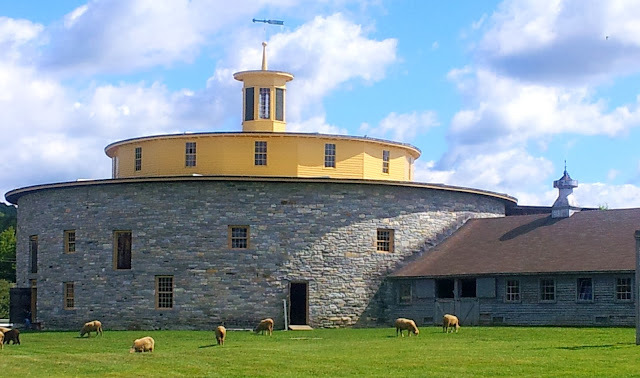 One of the most notable buildings is the "Round Stone Barn" built in 1826. That barn was created in a circular form for several reasons, the primary one being that it was the most functional. Inside the barn there are four rings. The innermost is also the smallest and is used for ventilation. This ventilation is necessary to help draw the moisture up and out of the hay which prevents mold from growing and the hay from eventually spontaneously combusting. The next ring out is where the hay was stored. It was tossed in from an upper level. That balcony was accessible by ox-drawn wagon via a ramp outdoors. Because the barn was round the wagons could enter, unload the hay and then exit the barn without ever having to back up. The third ring out was where the Shaker brothers would walk to distribute the hay in the second ring to the cows standing in the outermost, fourth ring. The barn could hold up to 70 cows at a time. They would go to the barn twice a day: once in the morning and once in the evening to be milked. 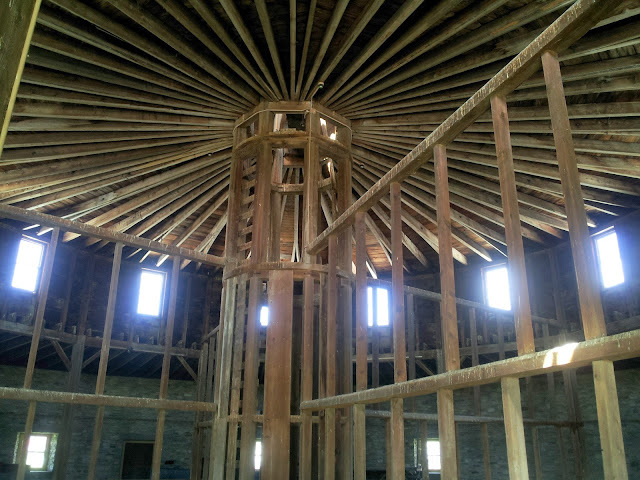 Inside the barn they were put into wooden stanchions. Standing there, the cows could eat while the brothers milked them. The floor of the outermost ring is split level, with the inner part raised up 3 inches (76 mm). This was so that the milk buckets were not on the same level as the manure which was unsanitary. The Shakers are a religious order who believe in pacifism, celibacy, communal living, andgender equality. 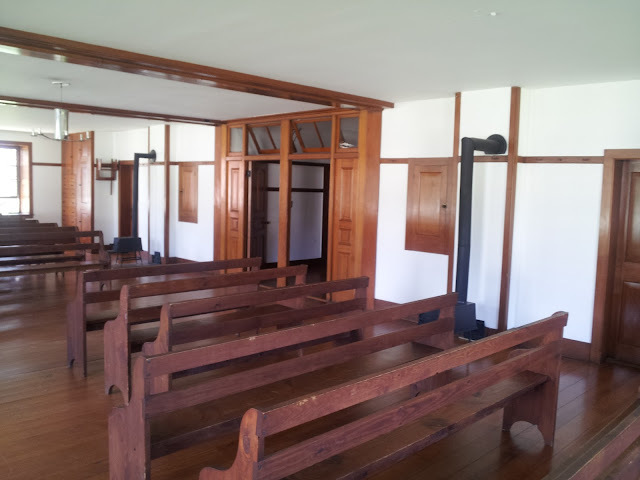 In the nineteenth century, Shaker worship included singing, shaking, and ecstatic dance, which is why they were called the "Shaking Quakers," or "Shakers." Theutopian sect is renowned today for its plain architecture and furniture. The Hancock community was started in 1783 with the consolidation of land donated by converted farmers, many of them members of the Goodrich family, who were New Light Baptists in the congregation of Valentine Rathbun. Elder Calvin Harlow and Eldress Sarah Harrison were the first leaders of the Hancock Shakers. 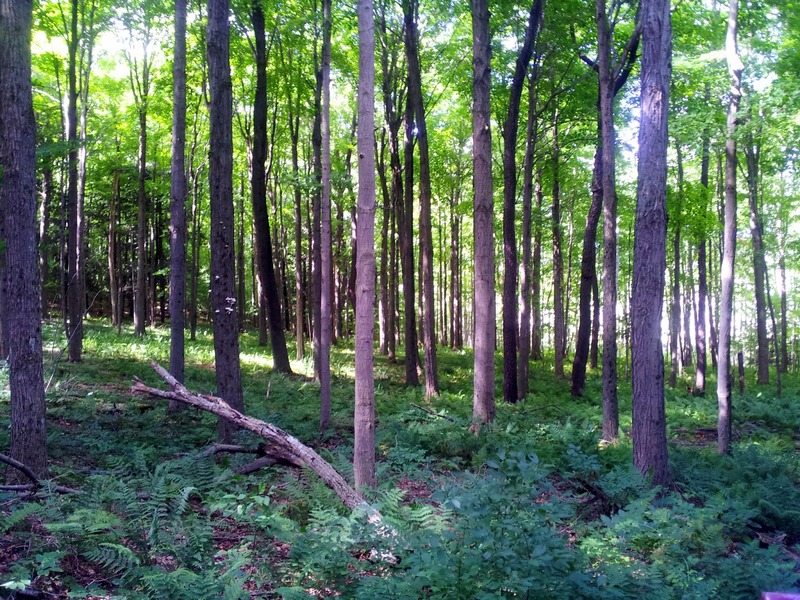 The group was skilled at silvaculture and "knew the bounty of the forest". This knowledge would have greatly facilitated the creation of fine furniture and medicines. I was impressed by the uniform plumbness of every trunk in this grove. No accident of nature I suspect.